After Madhya Pradesh Chief Minister Shivraj Singh Chouhan's comment about Rahul Gandhi not being taken seriously by the country, the Congress party lashed out at BJP and said that it is the BJP that does not take its ministers seriously. "BJP does not take their own ministers' words seriously. They don't consider people's problem seriously. They talk so about Rahul Gandhi because they are scared of him," said Congress leader Mallikarjun Kharge. 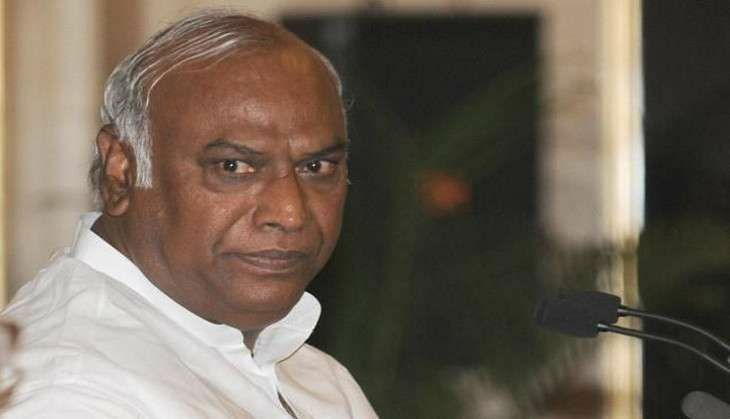 Supporting Rahul Gandhi's claim of possessing corruption-related information about Prime Minister Narendra Modi, Kharge said if given a chance, Rahul Gandhi will definitely reveal the truth in Parliament. "If Rahul ji gets time, he will definitely bring it to the knowledge of the House," he said. The Madhya Pradesh CM on Thursday said he felt sorry that nobody was taking the Congress vice president seriously. "I really feel sorry that nobody in this country takes Rahul Gandhi seriously. Nobody trusts his words. So, how do you expect me to comment on his remarks," Chouhan said in an exclusive interview to ANI. "This is the government's fault which does not let us discuss. When we called for rule 56, rule 184, they rejected them. It is clear that the government does not want to hold a debate and wants to hide the truth from the people of India." The Congress vice president had said on Wednesday that he had "detailed" information about Prime Minister Modi's "personal corruption". "The PM is personally terrified of me being allowed to open my mouth inside Lok Sabha because I have information... That is going to explode his balloon," he had added.